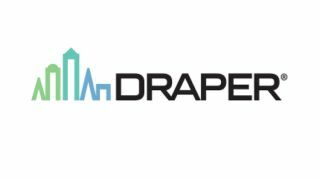 Draper has released an updated window shade price list for commercial and residential AV dealers, and has formed a partnership with Herman Integration Services to provide additional after-sale support to dealers who sell shades. In addition to updated pricing, the price list includes information on the FlexShade Recharge, Draper’s rechargeable battery-operated shade that debuted earlier this year, and features installation similar to a manual window shade. With long-lasting charges, the FlexShade Recharge battery is hidden inside the roller tube and can be recharged from a 110V outlet or an optional solar panel. Draper’s partnership with Herman Integration Services aims to provide project management, field measuring, and verification for every shade, installation services, and programming and integration experience. Dealers will still contact Draper for a quote and get basic sales training from the company. Once a dealer has the quote, they can contact Herman for pricing on everything from field verification to installation and programming. To download an updated price list, Draper dealers can sign in to Draper’s Pro Portal at draperinc.com/draperpro/portal.aspx. Dealers who have yet to register for an account can click the “Need to register for access” link and set up an account.